Revenue Typhoon builds campaigns for each step in the sales process customized for your product and sales staff, including the UnColdCall.com, direct sales, sales followup, and lost sales recapture. Our automated response system nurtures your leads, leading to extraordinary close rates with little effort from you. How many times do you contact prospects? Once? Twice? ... Seven times? The average sale requires seven (7) different communications. Revenue Typhoon automatically contacts leads with a scheduled series of text, email, and voice mail messages. This response campaign serves several purposes. It provides an immediate response that your reps can't match. See Breakthrough Response. It engages leads. They still feel valued even though though it may take time for a rep to make personal contact. It lets your reps focus on selling, not rote information delivery. It provides a consistent story that your rep may not cover or may not share in way that best reflects your brand. It automates the several touches that are needed for the typical sale. 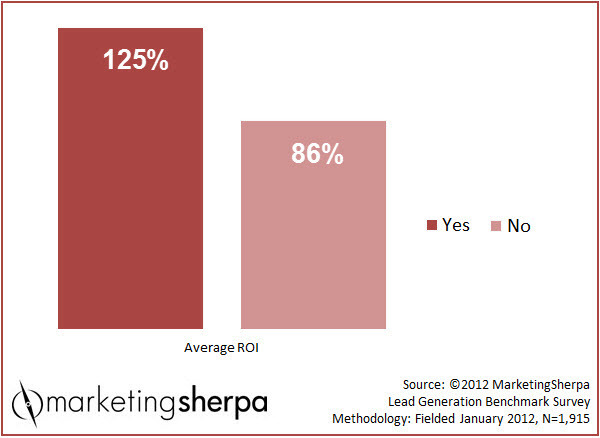 It enables drip or content marketing that results in almost 50% higher ROI (see below). It uses customer psychology modeling to naturally move leads down the sales funnel to support your rep.
Last but not least, our campaigns have impact. Only 12% of emails today are actually received and read. Multichannel features, such as sending a voicemail from the CEO, make your campaigns personal, create an unforgettable impression, and bring them to life. It's an important difference when your salesforce is closing deals worth tens of thousands of dollars or more. At the end of the campaign, you will have anticipated most concerns and taken the user step-by-step through the decision-making process. You will have established yourself as an authority and created the trust that results in an easy sale. Companies that use content marketing report almost 50% higher results! Q: Do you have lead nurturing campaigns in place? Make all your marketing customer touches automatic!